Yes! 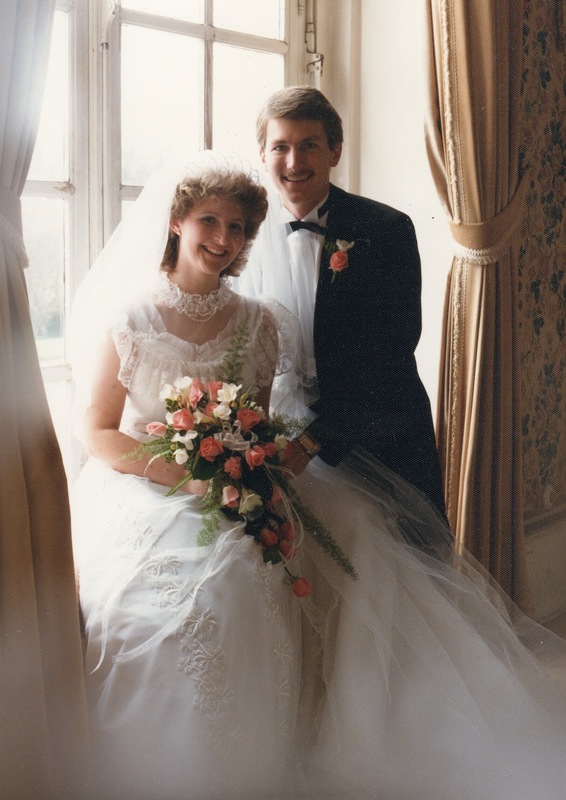 Today marks twenty five blessed, amazing, wonderful years as Dave and Connie Patty! Though we've aged, I look at that photo and remember like it was yesterday. I was so incredibly happy to be marrying that man! 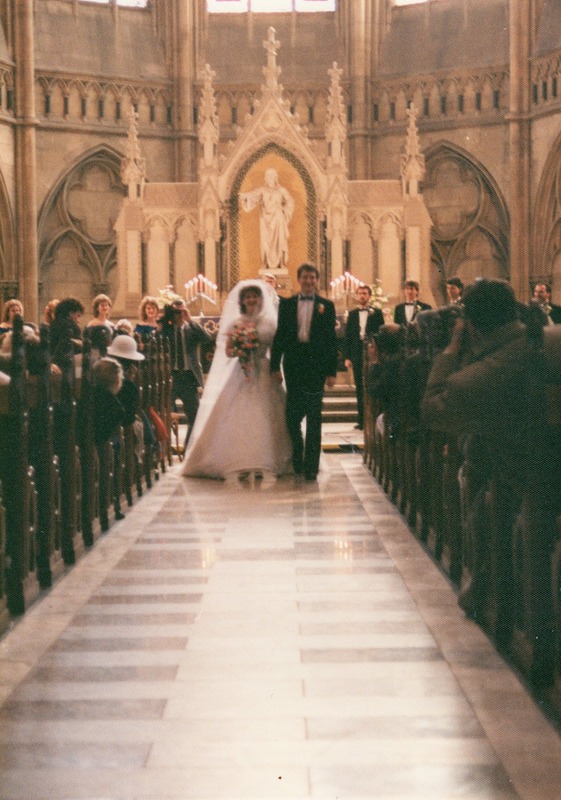 We walked down the aisle of the Gedachtniskirche in Speyer, Germany, March 28, 1987, husband and wife...about to embark on an amazing adventure together! It has truly been the gift of a lifetime to have Dave as my husband for twenty five years! I love you Dave, with all my heart! It is my prayer that God gives us at least another twenty five, if not more, amazing years together!! Congratulations! I remember those days of you two meeting, Malachi, dating, and then the wedding. I remember you talking about sledding one time with Dave and how you learned to let him "take the wheel" or something like that. Isn't it funny what people remember? Now I remember why I wasn't at your wedding. 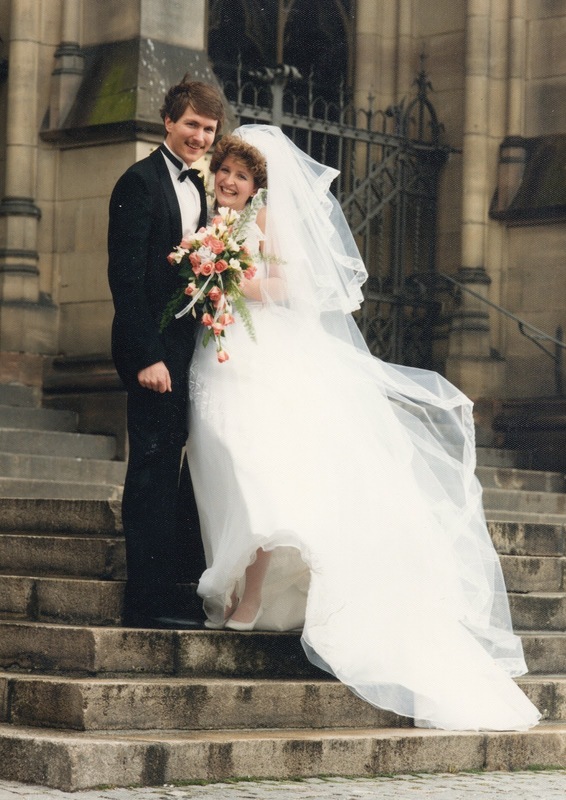 It seems difficult to believe it's been 25 years! So happy for you both and best wishes on the next 25! Congratulations, Connie and Dave on 25 years together! You have a beautiful testimony of a beautiful marriage lived as one in the Lord! I'm always encouraged by you guys.